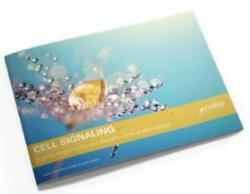 The total SMAD2 kit detects cellular SMAD2, and can be used as a normalization assay with our phospho-SMAD2 kit to enable optimal investigation of TGF-ß signaling. 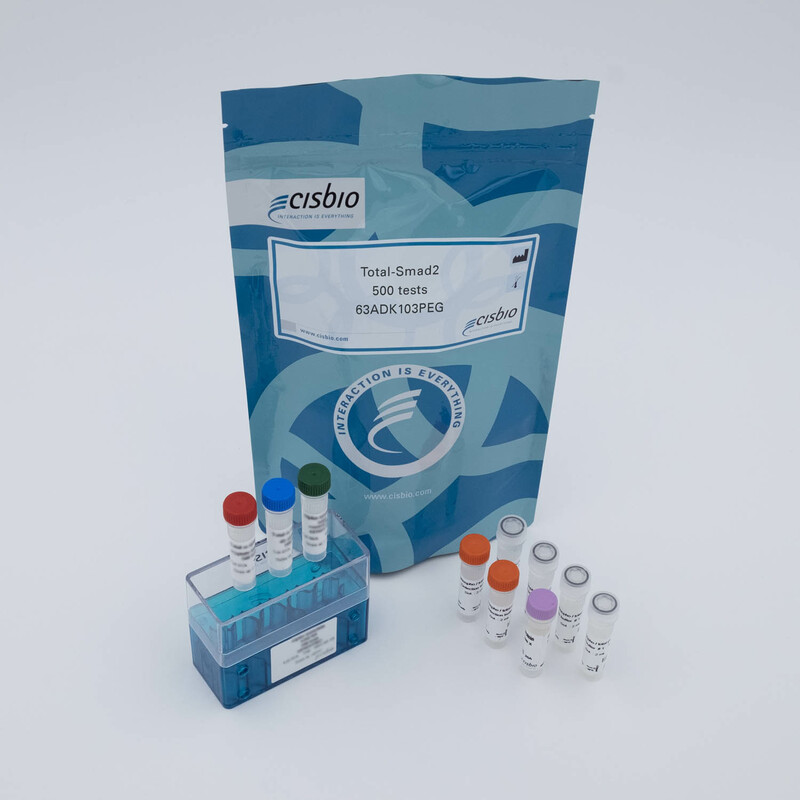 The total SMAD2 cellular assay kit is designed to monitor the expression level of SMAD2, whether phosphorylated or unphosphorylated. 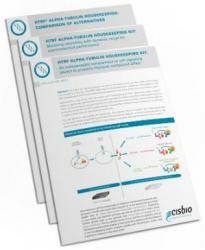 It is compatible with our Phospho-SMAD2 kit, and enables the analysis of phosphorylated and total proteins from a single sample for a better readout of TGF-ß signaling activity. 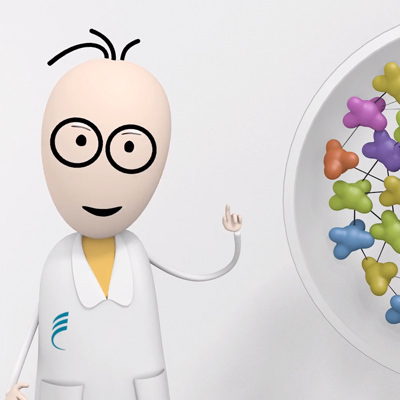 The Total-SMAD2 assay quantifies the expression level of SMAD2 in a cell lysate. Unlike Western Blot, the assay is entirely plate-based and does not require gels, electrophoresis, or transfer. The Total-SMAD2 assay uses two labeled antibodies: one coupled to a donor fluorophore, the other to an acceptor. Both antibodies are highly specific for a distinct epitope on the protein. In presence of SMAD2 in a cell extract, the addition of these conjugates brings the donor fluorophore into close proximity with the acceptor and thereby generates a FRET signal. 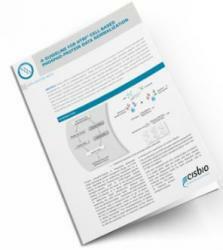 Its intensity is directly proportional to the concentration of the protein present in the sample, and provides a means of assessing the protein’s expression under a no-wash assay format. The 2 plate protocol involves culturing cells in a 96-well plate before lysis, then transferring lysates to a 384-well low volume detection plate before adding Total-SMAD2 HTRF detection reagents. Detection of total SMAD2 with HTRF reagents can be performed in a single plate used for culturing, stimulation, and lysis. No washing steps are required. 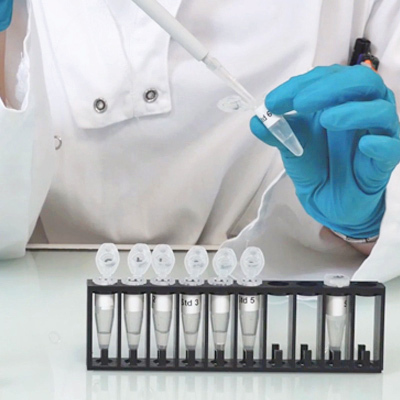 ​HeLa and C2C12 cell lines were plated (100,000 cells/well) and cultured overnight in complete culture medium, 37°C - 5% CO2. The day after, medium was removed and the cells were incubated for 4h at 37°C - 5% CO2 with reduced culture medium (0.5% FBS). After incubation, the cells were treated with increasing concentrations of TGF-ß1 for 30 minutes at 37°C - 5% CO2. After medium removal, the cells were then lysed with 50 µL of supplemented lysis buffer #1 for 30 minutes at RT under gentle shaking, and 16 µL of lysate were transferred twice over into a low volume white microplate before the addition of 4 µL of the HTRF phospho-SMAD2 or total SMAD2 detection antibodies. The HTRF signal was recorded after an overnight incubation. In both lines, TGF-ß1 promoted the activation of SMAD2 by phosphorylation on Ser465/467, whereas the expression level of the protein remained fairly stable. ​TGF-ß signaling is mediated by complexes of TßRI and TßRII, which activate intracellular SMAD3 and SMAD2 by phosphorylation. The binding of the TGF-ß ligand on TßRII triggers the recruitment of TßRI into the ligand-receptor complex. TßRII autophosphorylates, then transphosphorylates TßRI. Activated TßRI in turn phosphorylates SMAD2 on Ser465 and Ser467, enabling its oligomerization with SMAD4. This complex then translocates to the nucleus. There, it acts as a transcription factor with coactivators and corepressors to regulate the expression of multiple genes involved in cell growth, apoptosis, proliferation, migration, and differentiation, as well as in extracellular matrix remodeling and immune/inflammatory responses. Inhibitory SMAD6 and SMAD7 are involved in feedback inhibition of the pathway.